A random pick up from a 2nd hand shop here. I think I have most (if not all) of the tracks here on their original albums, but am a sucker for picking up little spots like this. Featuring the likes of Cianide, Vital Remains, At The Gates & Morgue, this has a nice balance of different bands with similar vibes. One of those nice 'moment in time' releases, where tasters of bands who went on to become semi-legendary in the scene all mingled shoulder to shoulder with those who never made it on one release. 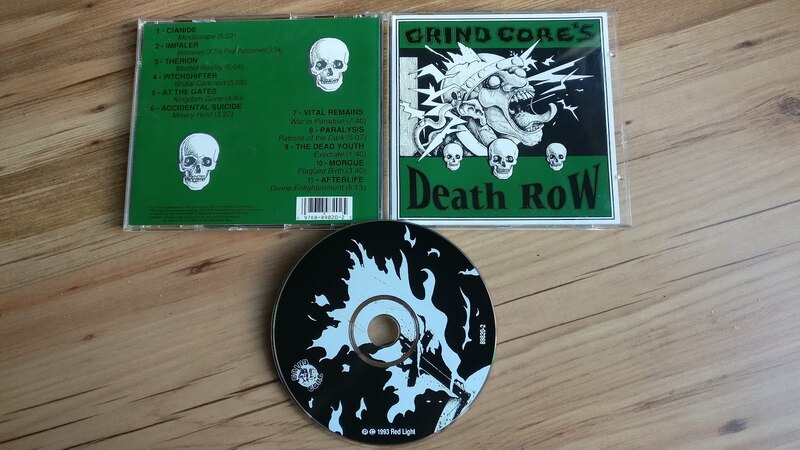 Released on Red Light/Grindcore Records, and out of print.